What’s the first thing that comes to your mind if I say I am staying in a Mansion in Hong Kong? Huge Gardens, Clean and Spacious Rooms, Butlers and Servants? NOT in a Million Years for this Hong Kong “mansion” – the infamous Chungking Mansion! 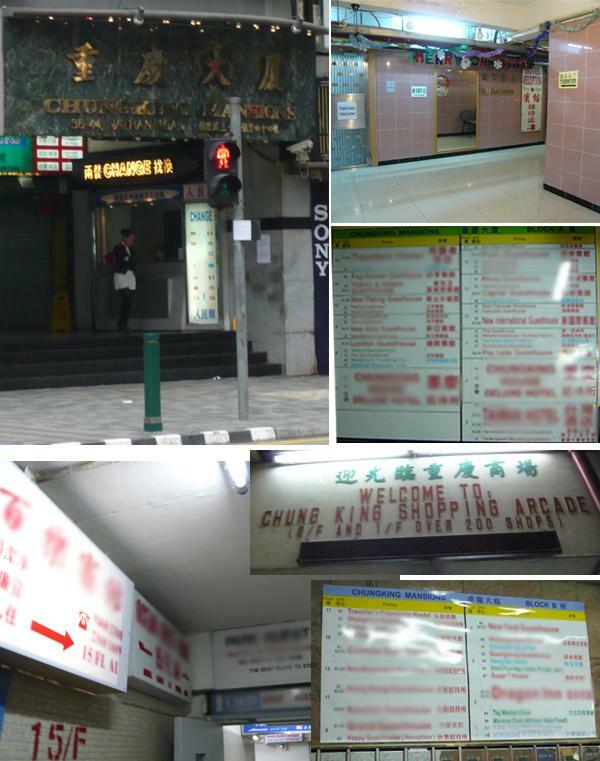 If you are looking for no-fuss, central and cheap accommodation, look no further than Chungking Mansion. This huge, dirty building in the heart of Tsim Sha Tsui caters for virtually all needs – from finding a bed, hunger for curry, buying of cheap Made-in-China electrical appliances and getting a cheap hair cut. 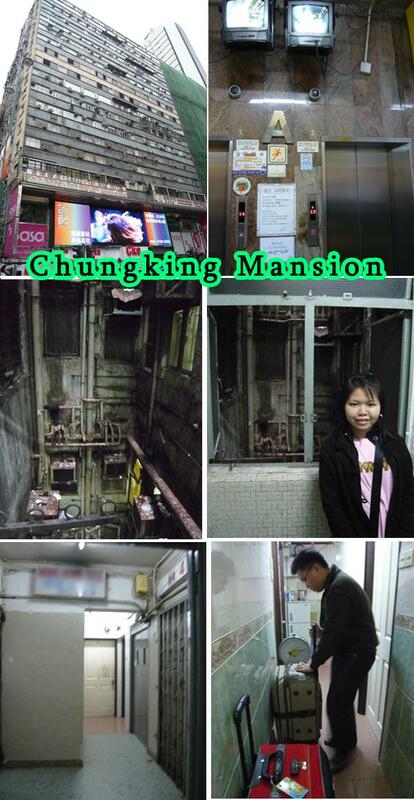 Chungking Mansion is 17 stories tall and consists of five blocks, A, B, C, D and E. There are two lifts in each block, one of which serves even-numbered floors, the other one odd-numbered floors. The lifts are very small – almost like steel coffins on cables and there are always long queues for the lift. Each can take about 5-6 people – even lesser for passengers with luggages. Many of the guesthouses serve as long-term boarding houses for workers from around the region and Africa. There is still plenty of guesthouses catering to backpackers. However the rooms are very small and the facilities limited. For about S$20 a night per room, you get a very small air-conditioned double room with TV and ensuite facilities (the shower room doubles as toilet and is very cramped!). Also if you are booking through agents e.g. hostelbookers.com, reserving 4 beds is not equal to a private 4-bed room. Some unscrupulous guesthouse owners will spread out the 4 beds across different rooms to accommodate guests who are already occupying some of the rooms. There will be sleazy characters and touts offering to sell you rooms and various services as you wait for your lift and walk around the ground floor. Don’t encourage them by talking to them – just say “No” and move on. If you are staying for a few nights here, they will usually recognize you and ignore you. 🙂 Basic common sense prevails here – don’t leave your valuables about and don’t wander about secluded areas alone. You can see how many guesthouses there are by the directories by the lift. It is quite amazing how many guesthouses a 17-storey building can accommodate.